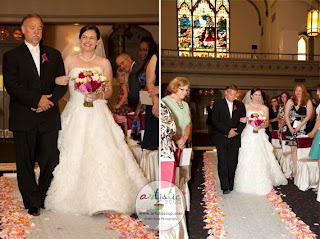 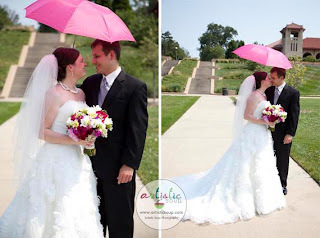 Melanie and Matt celebrated their June wedding at the 9th Street Abbey in Soulard. 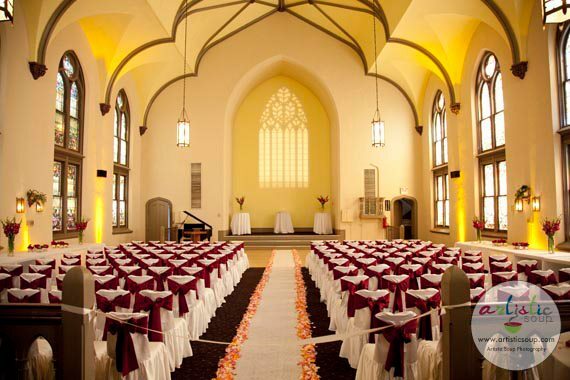 Both their ceremony and reception were held in the historic venue. Shades of pink flowers added to the brightness of the day. Photos by Artistic Soup. 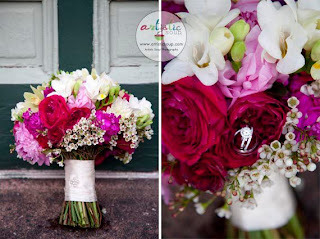 The bridal bouquet featured lots of interesting textures and a mix of bright colors and subdued tones. 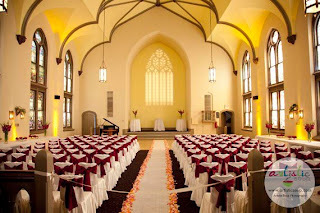 The ceremony at the Abbey was held in the main room with all the stained glass windows surrounding the bride and groom and their guests. 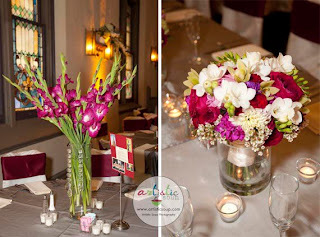 After the vows, the ceremony room was transformed into the reception room with linens, flowers, and candlelight. 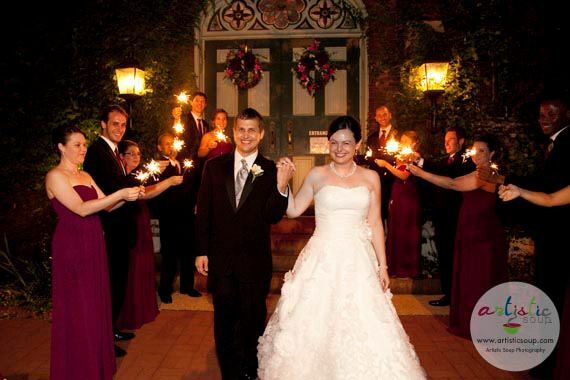 Many happy wishes to Matt and Melanie!